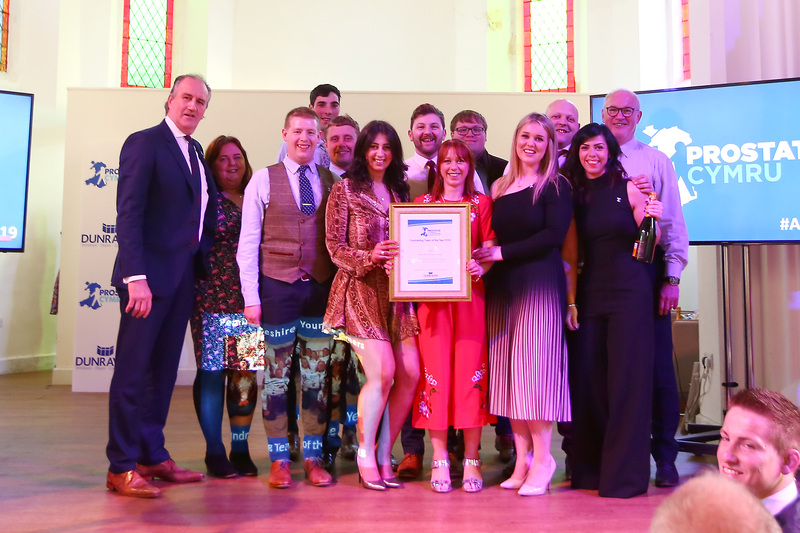 Prostate Cymru recognised the contributions of those who had fundraised for the charity in 2018 at their annual ambassadors lunch on Friday 12th April at Cornerstone in Cardiff city centre. The awards ceremony was hosted by Prostate Cymru ambassador, weather presenter and broadcaster Chris Jones. Ambassadors Eddie Butler, Bob Norster, Julian Lewis Jones, journalist and producer Carolyn Hitt and Prostate Cymru’s President David Brace OBE presented the awards which were kindly sponsored once again by Dunraven Group. 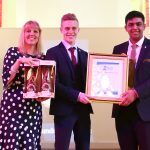 The awards were Fundraising Team of the Year, Young Fundraiser of the Year, Fundraiser of the Year and an additional Special Recognition Award. Fundraisers are increasingly choosing Prostate Cymru as their charity for a variety of events and challenges. 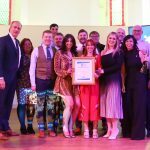 The shortlist for the awards included a diverse range of events such as cycling challenges, boxing matches, ladder climbs, creating decorations, choir concerts and tractor runs to name a few. Fundraising Team of the Year was won by Pembrokeshire Young Farmers. In May 2018, a team of twenty six young farmers led by county Chairman Non Thorne cycled over 250 miles in four days from Haverfordwest to Blackpool in time for the National Federation of Young Farmers Club’s annual convention. The challenge called “Pembrokeshire YFC’s Big Adventure” was in aid of Prostate Cymru, Wales Air Ambulance and Pembrokeshire YFC. The challenge, which created a great sense of camaraderie amongst the members, raised £27000, with £15000 donated to Prostate Cymru. 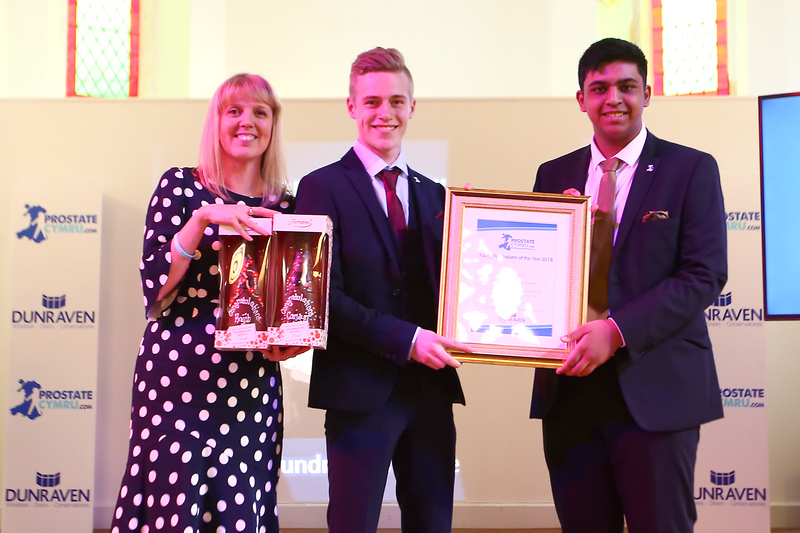 Young Fundraiser of the Year was awarded to Rajib Ahmed and Carwyn Hopkins, year 11 pupils at Bryntirion Comprehensive School, Bridgend. The duo were nominated for the same award in 2017 and continued supporting the charity for the community challenge section of the Welsh Baccalaureate. The pupils took part and won the FirstGive competition, winning £1000 for the charity by creating a presentation, quiz and video about the prostate and Prostate Cymru. 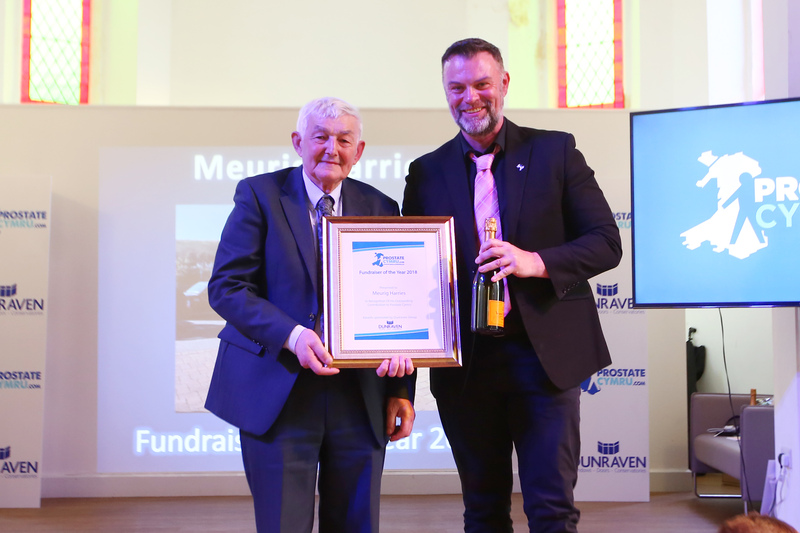 Fundraiser of the Year was presented to Meurig Harries from Croesgoch, Pembrokeshire. Having undergone treatment for prostate cancer, Meurig undertook a mammoth challenge over three days in August. He drove a tractor on a 400 mile round trip from Fishguard through Ireland and back to Haverfordwest via North and West Wales. On his return, Meurig, a popular and well known character throughout the county, continued to fundraise for Prostate Cymru by holding collections and displaying his tractor at a number of local agricultural shows. Meurig’s challenge raised over £17,000 for the charity. 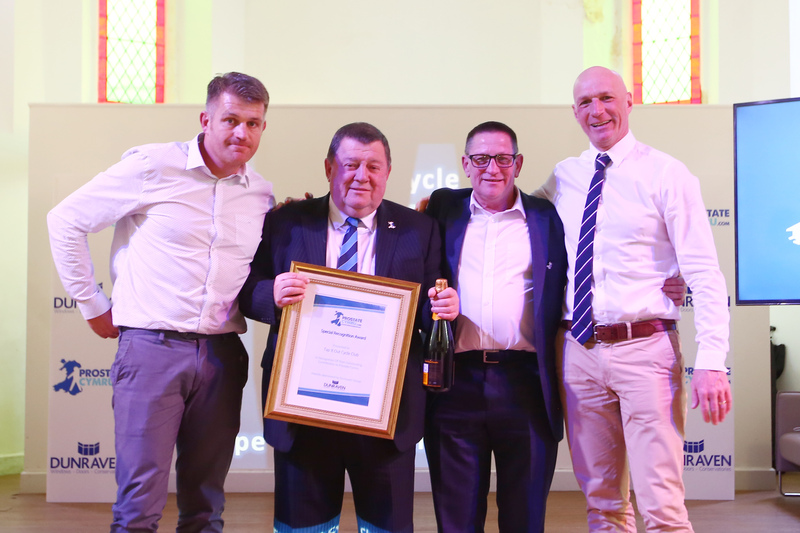 Following the main three awards, a Special Recognition award was presented to Tap It Out Cycle Club. 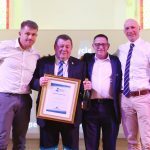 The award was accepted on behalf of the club by Nicky Morgan, David Lloyd, Ray Giles and Andy Thomas. The club has organised a number of cycling tours over a decade including Porthcawl 2 Paris, Barcelona 2 Monaco and Nice 2 Rome. They are already planning their 2020 tour – Santander to Lisbon. Over a decade the club has raised over £150000 for Prostate Cymru.